The gardening professions divide into two occasionally hostile camps, the horticulturalists and the designers, and what is one’s cup of nectar is often the other’s draught of poison. At its most extreme it is an obsession with new cultivars which often don’t perform as well as old favourites versus a shallow flight of faddish fancy. I was recently watching black and white footage from the 1930s of Queen Mary going around the Chelsea show gardens. She stopped and appeared to be admiring a heap of rock and I thought what is the old biddy looking at? Just then the commentary caught up, and of course it was a rock garden, all the rage at that time. Jump forward 80 years, and not a rock garden to be seen at Chelsea. Today we are admiring wild flower meadows, perhaps a garden of corn in the show gardens but the public consistently vote the nation’s most popular flower to be the rose. Roses are largely absent from show gardens apart from the odd climber here, some shrub roses over there, and perhaps at a push some of the diminutive patio roses. It all comes down to the garden dictates of opinionated fashionistas and garden designers like me. Sad isn’t it? 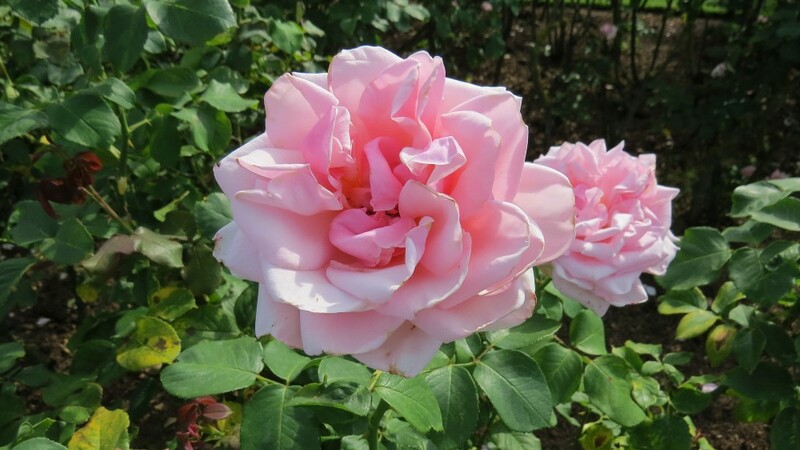 Floribunda and hybrid tea roses we designers particularly hate, because they don’t mix easily with other plants, are high maintenance, attention-grabbing and tend to look best planted in large beds of the same variety. The short early and late summer flowering seasons are, let’s face it a bit of a pain. You want to take a picnic to a rose garden, wait for a spot of fine weather in our unpredictable climate and find you are either too early or too late to see the roses at their best. 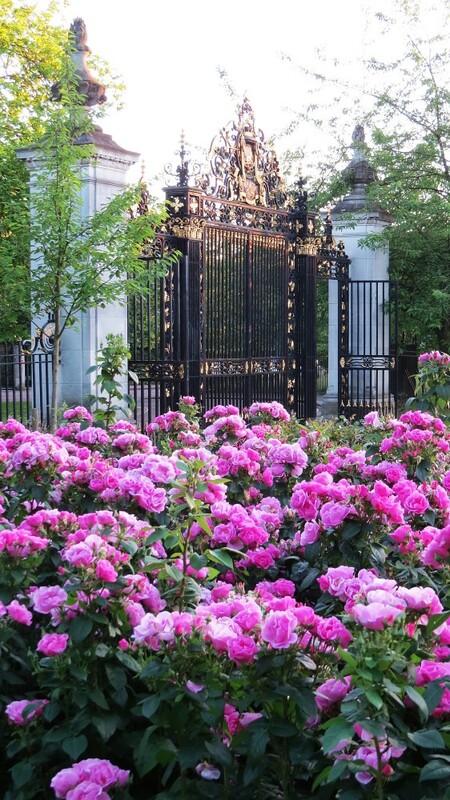 Yet I have to confess that I have a sneaking admiration for them and Queen Mary’s Rose Garden in Regent’s Park in early June is a delight and a must on my garden visiting calendar. 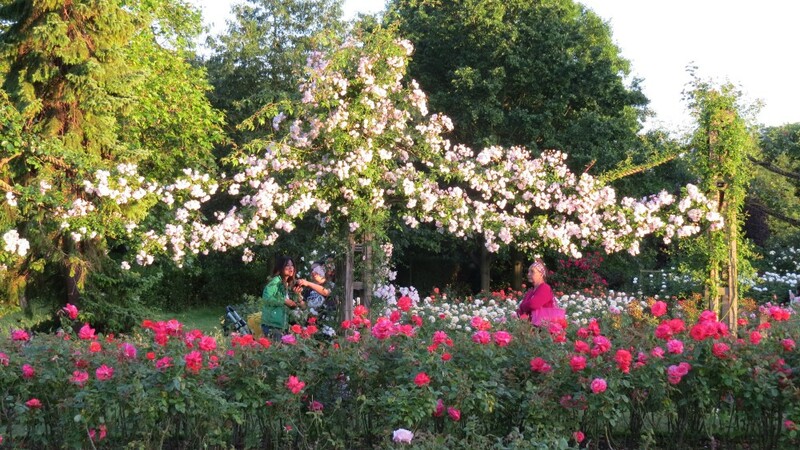 Here are ramblers on rope swags, climbers on posts, old and modern varieties of shrub rose, but most of all the dreaded floribunda and hybrid teas. They are pampered with irrigation and farmyard manure, and when the time comes for replacement, all the soil to a depth of 30cm is dug out for their cosseted successors. No rose sickness, no black spot, greenfly, blackfly or mildew, the scourges of us lesser mortals, are to be seen. Queen Mary’s, completed in 1934 with over 12,000 roses harkens back to an age before uppity designers when horticulture ruled supreme. It was an age where the public were invited to respectfully admire specimen flowers but to keep their distance. The main part of the garden with its floribundas and hybrid teas is like a parade ground, with regimented beds of roses like platoons, to be reviewed by the deferential visitor, who may occasionally bend forward to catch a pervasive fragrance. That bed of soft pink roses next to one of vibrant orange may make us over-sensitive designers wince but is of no concern to a horticulturalist. But change is in the air, one of our most respected designers Andrew Wilson has recently redesigned and replanted the Savill Rose Garden in Windsor Great Park, in a contemporary style. 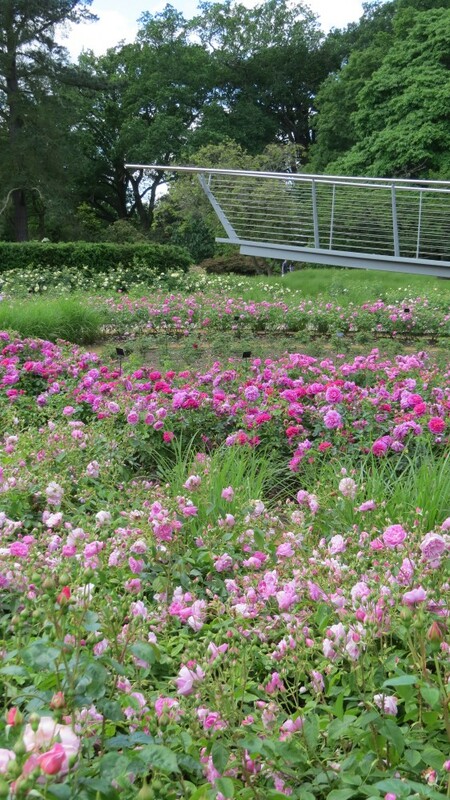 This new garden of 2000 modern shrub roses (mostly from David Austin) is set out in spiralling pathways, with a central viewing ramp, like the prow of a sinking ship. At Savill, the blending of rose colours is superb and the informal garden layout invites the visitor in to walk through the roses, a happy marriage between design and horticulture. 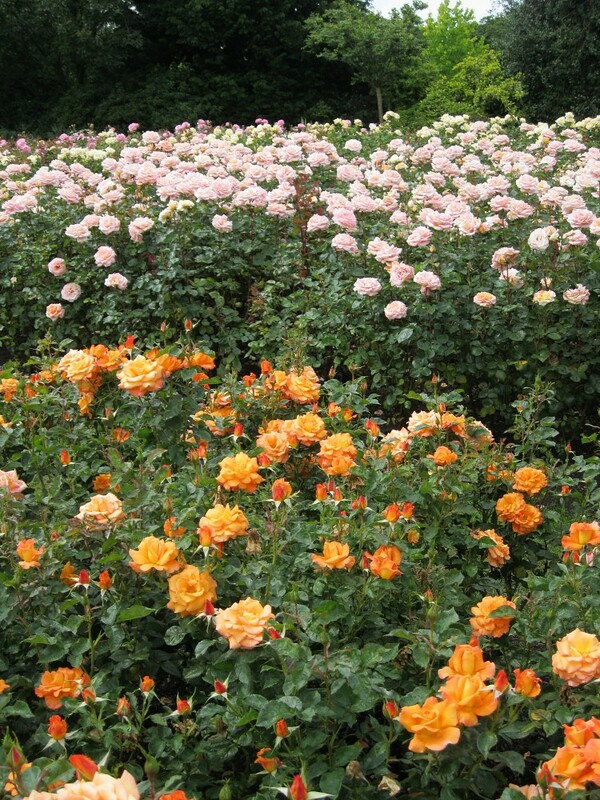 What has been done with modern shrub roses could surely be done with floribunda or hybrid teas. It’s time for garden designers to see these roses in a new light. 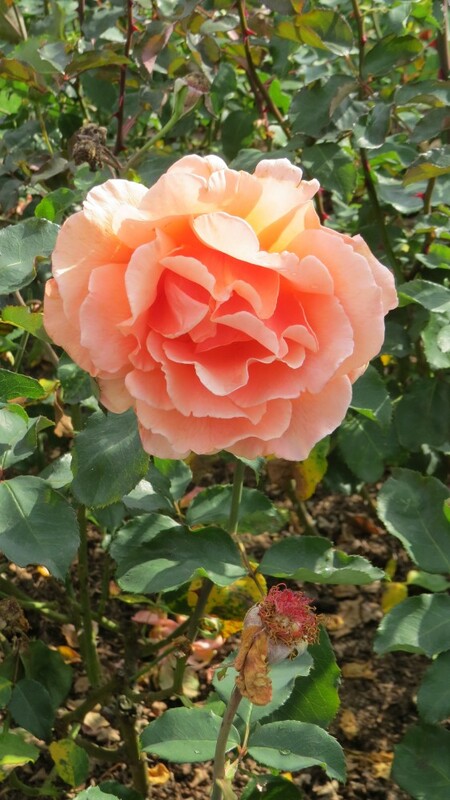 Who knows in a dozen years or so I may live to see Queen Camilla stopping to admire the new rage at Chelsea – the hybrid tea rose.